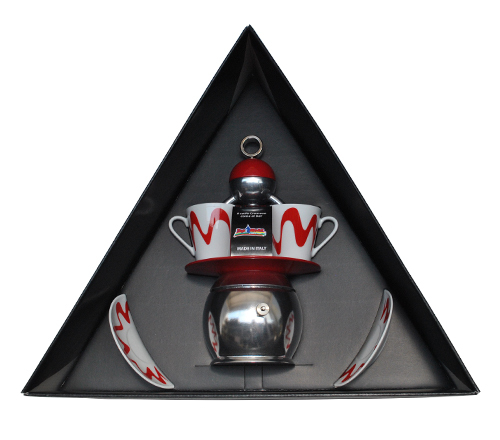 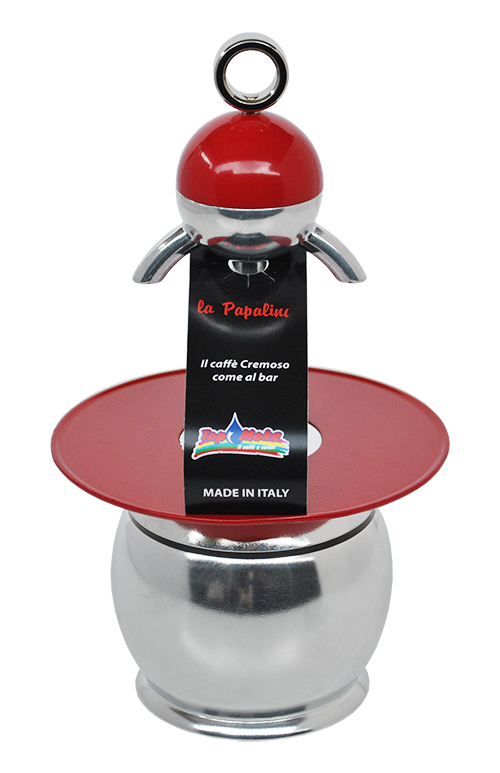 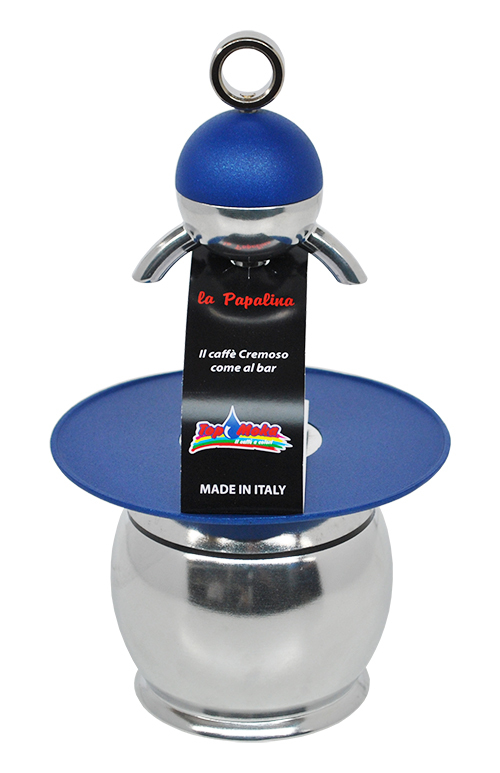 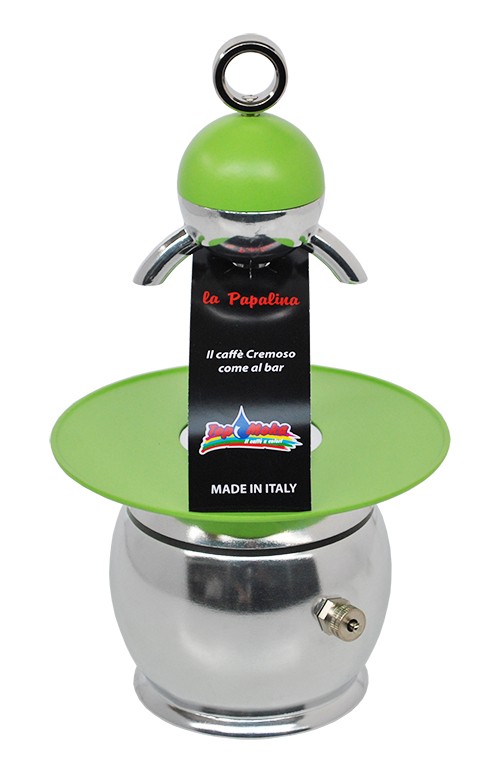 Papalina Coffee Maker, creamy coffee like at the Bar...technology, art and design Made in Italy! 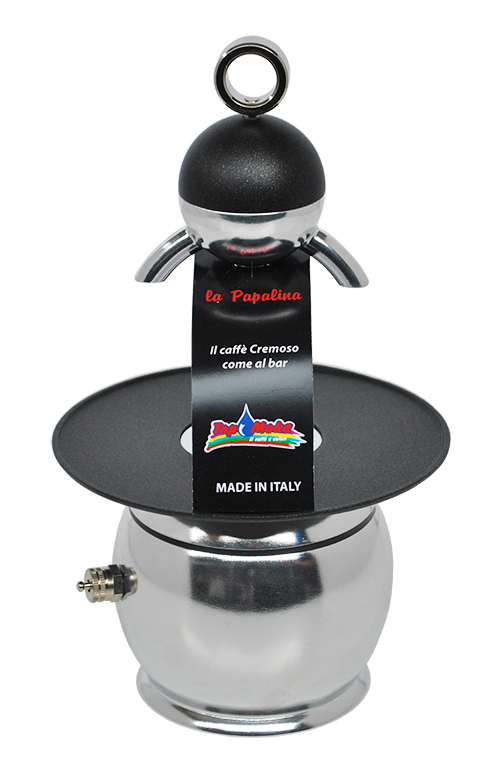 The smallest Espresso machine in the world, the Papalina has been displayed at the MOMA in San Francisco (USA) as an example of Italian design. 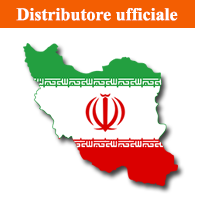 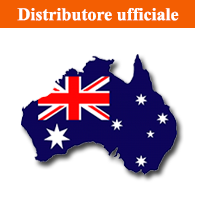 Time and again awarded for Art and Design Made in Italy (Lisa Express). 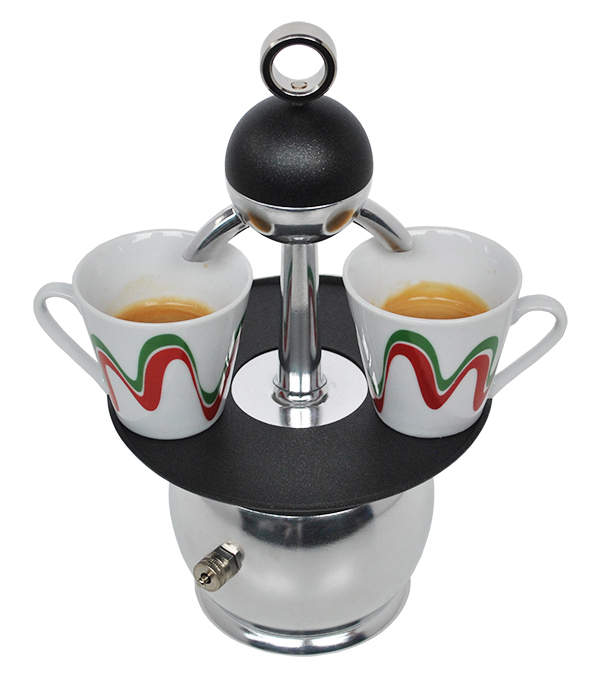 For those who love Italian espresso coffee, is 'the' new coffee machine, designed and built to allow every family to enjoy a cup of coffee that equals that of the Bar. 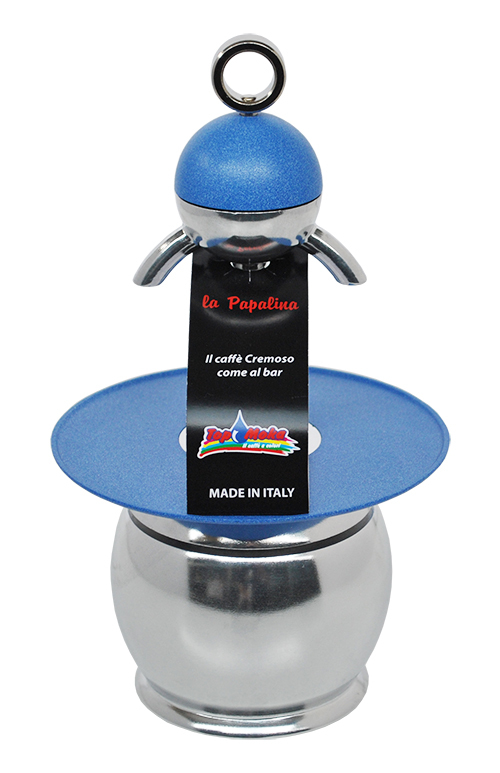 The Papalina is, also, able to produce high-quality barley coffee and a good american coffee. 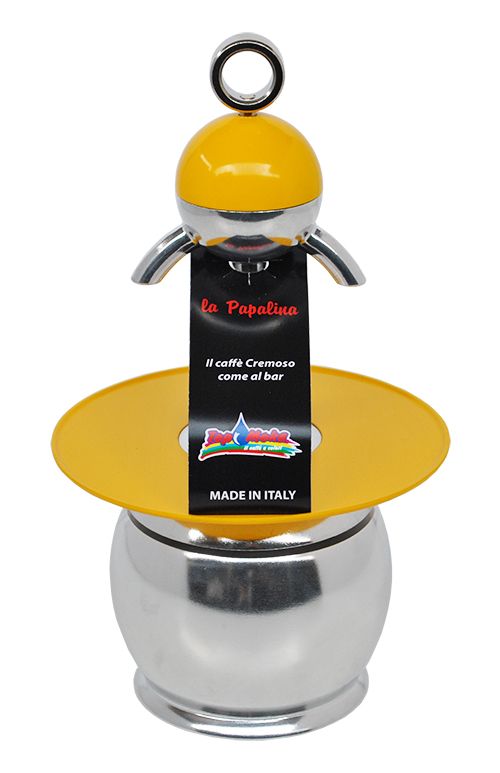 Papalina is presented in seven different colours and thanks to a smaller container to be inserted in the boiler, in 1 inch of water bagnomaria, it allows the liquid to come up at 70/80C° taking the greatest advantage of the coffee properties, resulting in a creamy and extremely tasty brew. 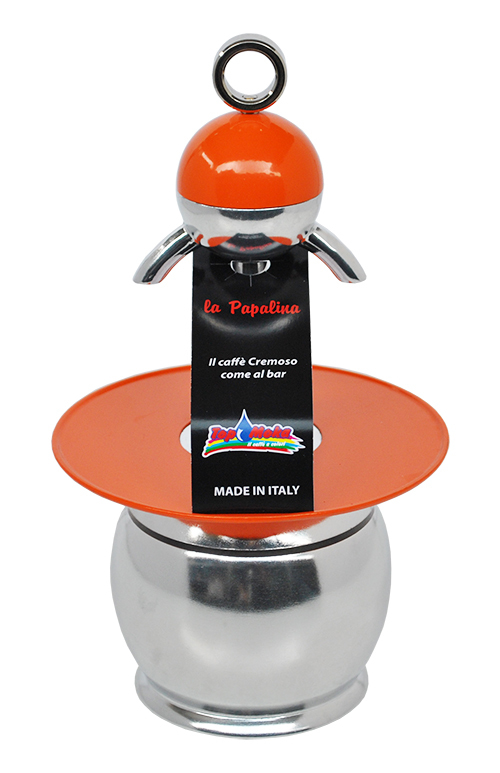 Papalina, a real jewel in the Top Moka collection, becomes also, a precious gift in its modern triangular gift-box.